Great apps are even better when they’re on sale! We’ve selected 47 iPhone and iPad apps that are over 30% off. 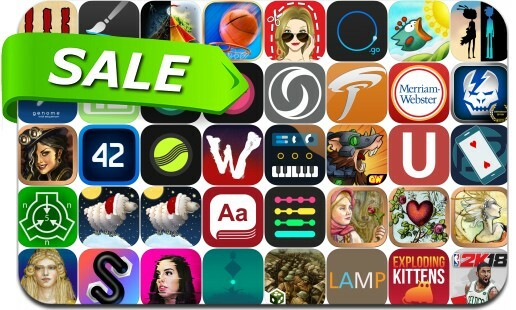 This app deal alert includes NBA 2K18, Broken Age, Simulacra, Exploding Kittens, King of Dragon Pass, iBasket, Inspire, Shadowgun, GoCoEdit, Doomwheel, Tiny Wings, Genome MIDI Sequencer, Ships Bell, Turnado, Anycard, Islands: Non-Places, Command & Colours: The Great War and many others.